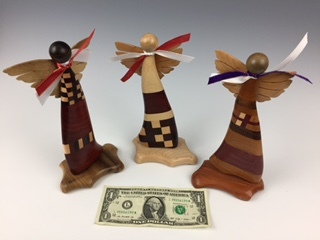 Free Standing Angels with Base Laminated decorative angels on a base (Cloud Hoppers). Available in various wood combinations and body shapes (dancing skirt or foot forward). Call for a photo of current availability or let us pick for you.